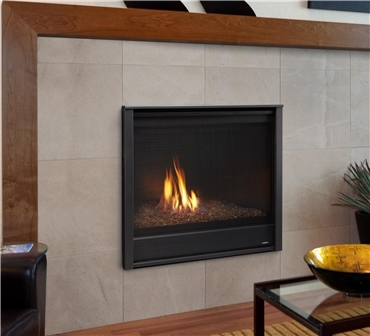 Heatilator Caliber Modern 36" direct vent gas fireplace with Simon front and amber glass media. 36" fireplace with Simon front and cobalt blue glass media. 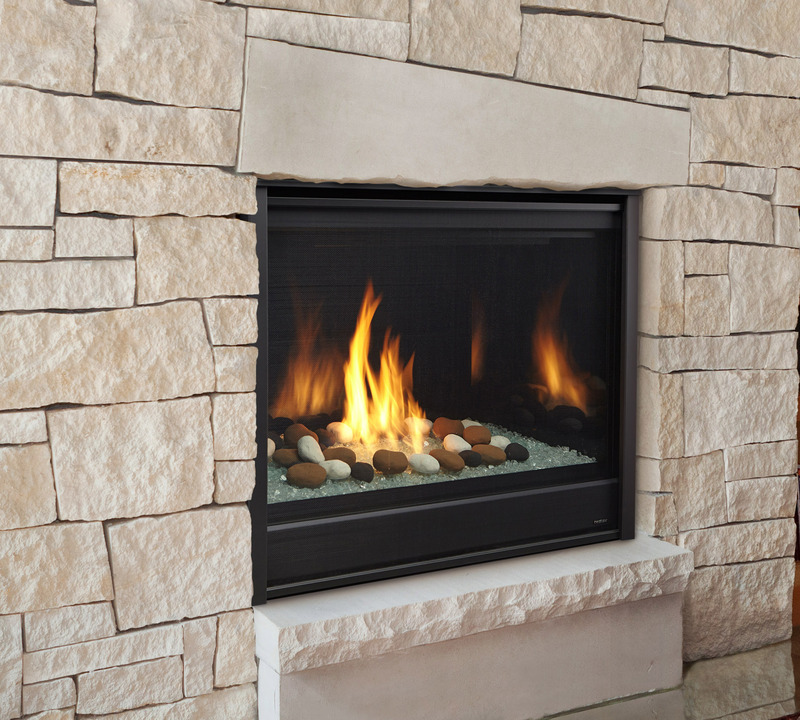 42" gas fireplace with Simon front, reflective glass interior, and layered media stones and clear glass. The Heatilator Caliber Modern direct vent gas fireplace is available in 36" and 42" widths as well as your choice of river rocks, glass beads, or crushed glass media in several colour choices; you can even combine multiple media options to create a unique flame presentation! You can further customize your flame presentation and heat level using your choice of optional wall-mount thermostats and/or remote controls. 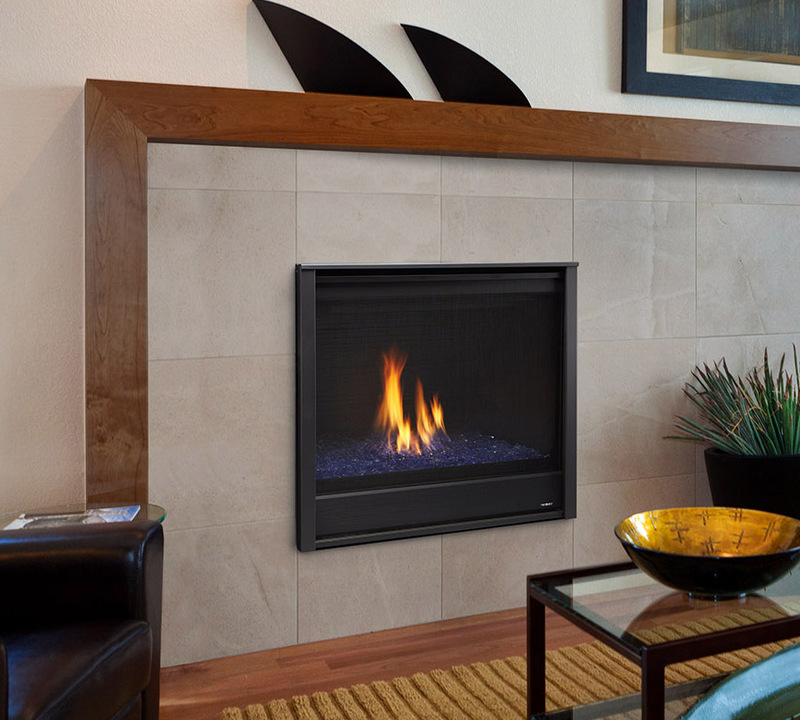 You can add an optional reflective black liner to your Caliber Modern direct vent gas fireplace to multiply the effect of the flame and intensify the fire. Use the form below to request more information on Caliber Modern, and a Kastle sales rep will get back to you as soon as possible. Fields in red are required.